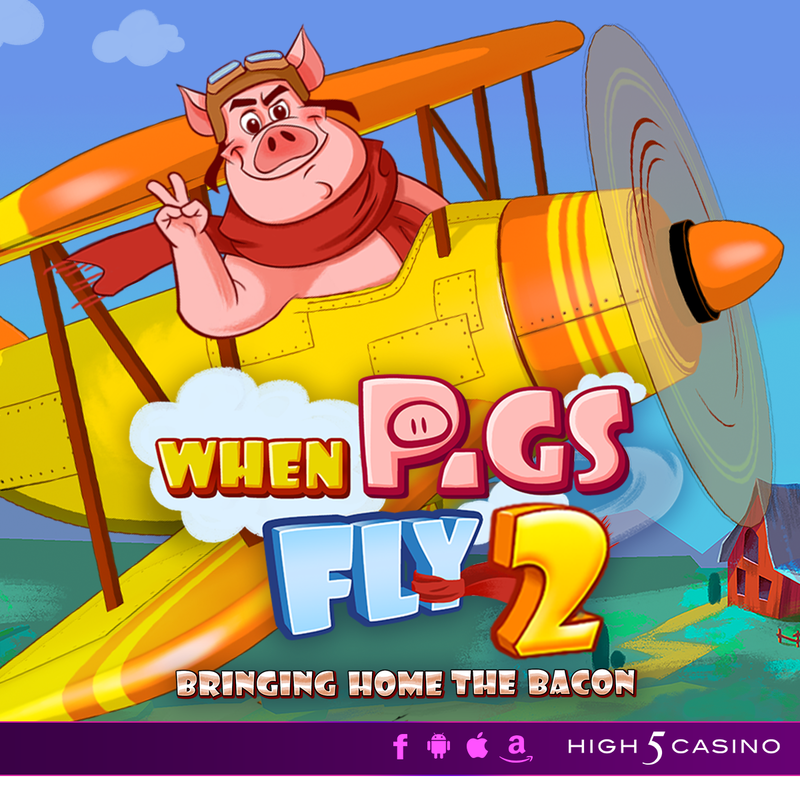 Have a high-flying good time in High 5 Casino’s 291st game! After going on his high-flying adventure, the farm’s favorite daredevil pig returns, bringing home the bacon! Brimming from a triumph trip, the animals are ready to double down on the fantastic rewards as he catapults himself for a sky-high comeback! Catapult to sky-high wins with Scatter Bucks, Stacked Wilds, and Expanding Wilds! Comment in the conversation bubble located on the top right corner of your screen and let us know what you think! This entry was posted in game preview, High 5 Casino, High 5 Games, New game and tagged bringing home the bacon, Expanding Wilds, Facebook, Free Games, game preview, H5C, High 5 Casino, High 5 Casino Mobile, High 5 Games, mobile gaming, Scatter Bucks, slots, Stacked Wilds, when pigs fly, when pigs fly 2 by hoothigh5. Bookmark the permalink.